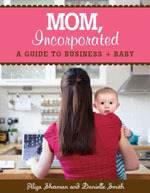 If you got here by accident, you can find our new blog at http://momincorporated.com. You can also find Mom, Incorporated on Twitter, Facebook and YouTube. Get tips for starting and running a business from home, features of moms with home-based businesses, and updates from the road. Subscribe Today! with little ones in your midst.